In March of 2018 the Uniform Construction Code was modified to exempt many types of minor work from permitting requirements. This is important because many bay structures do not qualify for building permits. Find the details here. This change in building permit requirements does not affect other laws like CAFRA and NJDEP requirements. This page is a collection of links and summaries of oyster restoration efforts on a state-by-state basis and around the world. The sources on this page date back to 2009 through 2015. If you have a project that should be included, please write to us. The Shuck and Share Oyster Recycling Project has recycled over 40,000 pounds of oyster shells from by 11 participating local restaurants. This web page also has links to the Mar Discover Center’s volunteer activities. The City of Stuart partnered with Florida Oceanographic Society in the Treasure Coast Shell Recycling Program. This program collects discarded oyster, clam and mussel shells from restaurants and recycles them into the estuary to provide a habitat for new oysters. What is notable about this project is that shell is collected in 5 gallon buckets (we presume thousands of them are needed) that are collected weekly. The human labor requirement and the odor control factors if this program must be major considerations. Also, the article mentions that shell are only cleaned for “3 or more months” before deployment. Most other programs let shell sit for a year to remove the organic material before shell is recycled into estuaries. The Oyster Reef Restoration Project has hit a milestone – more than 50 percent of the oyster reefs planned for installation in the St. Lucie Estuary have been completed. “A 12-person team of Nature Conservancy staff and volunteers, including eight DuPont employees, spent a Saturday morning fishing in the Bay of St. Louis in the Gulf of Mexico. Deadman’s Island is a thin strip of land located in Pensacola Bay is the victim of constant erosion, is a cultural and historical landmark in the area. Gulf Breeze city officials worked closely with state environment officials and Ecological Consulting Services, Inc. to draft the restoration project designed to stabilize the island and prevent it from disappearing. Governor O’Malley’s oyster restoration plan. After the Potomac’s public oyster grounds administered by the Potomac River Fisheries Commission have all but succumbed to a pair of oyster diseases and over harvesting, private growers on leased beds were able to restore oyster populations. Yields increased 10 times over last year after planting seed on leased grounds 3 years ago. The Federal Highway Administration has awarded its Exemplary Ecosystem Initiative Award to the Maryland Transportation Authority, the Department of Natural Resources, the Chesapeake Bay Foundation and other partners for creating the Asquith Creek Oyster Reef in the Severn River last fall. The 3-acre reef provides a sanctuary for 4 million juvenile oysters and was made from demolished concrete from the Bay Bridge Preservation Project. 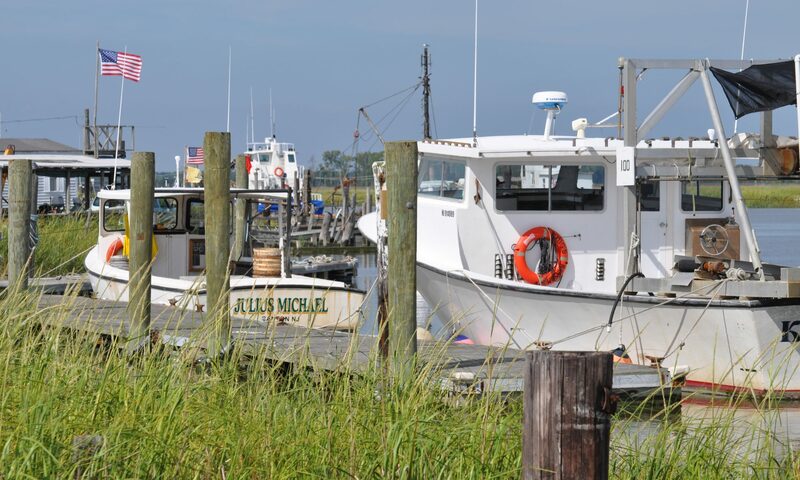 Its purpose is improving the Chesapeake Bay water quality and was done as part of the state’s sustainable growth program, Smart, Green and Growing, created by Gov. Martin O’Malley last year. The state Department of Natural Resources employee delivers cages full of baby oysters to homeowners’ piers in the community. Mark Faherty, science coordinator for Wellfleet Bay Wildlife Sanctuary, talked about the oyster habitat restoration project, now underway, which plans to restore wild oyster reefs on land owned by Mass. Audubon off Lieutenant Island. “We are testing three reef-building materials. … And preliminary results indicate a high density of oyster set on the three experimental materials in July, 2009,” he said. New Jersey legislators proposed legislation that would guarantee citizens the right to cultivate oyster gardens following a ban by the NJ Department of Environmental Protection in 2010. The bill’s sponsor announced a resolution was reached between Baykeeper and the DEP pending final outcome of the proposed resolution. A statement on “PCBs and dioxins stick to river bottom sediments and get taken up by shellfish, according to the U.S. Department of Health and Human Services” does not include reference to source detail. I was unable to find a source. The only result of a search on hhs.gov for “oyster + pcb” said “The presence of toxic chemicals in the aquatic environment leads to the potential for contamination of fish and shellfish. These chemicals include pesticides, other industrial chemicals such as polychlorinated biphenyls (PCB’s) , heavy metals (such as lead, cadmium, and mercury), and petroleum hydrocarbons (emphasis added). The article “Growing oysters one volunteer at a time” about North Fork of Long Island is no longer available online. NCCF and the state’s Coastal Reserve Program are sponsoring the work as part of a project to clean up debris from a former causeway on Permuda Island in Stump Sound. The N.C. Division of Water Resources is paying for the project, the release states. Volunteers will place about 1,000 bags of recycled oyster shells around the edge of an old causeway and plant over 2,500 marsh-plant seedlings along the shoreline. The shell bags will attract oyster larvae that will attach to the empty shells and start an oyster reef. Once planted the salt marsh seedlings will help stabilize the shoreline and restore marsh habitat in the project area. “The Chesapeake’s oyster reefs were destroyed by centuries of watermen towing rake like metal “dredges” and silted over by dirt flowing from the mid-Atlantic’s farms and growing cities. The final blow came in the mid-20th century: A pair of new diseases killed oysters by the millions. Now, in many places, the bay bottom is a flat expanse of green mud”. My comments focused on the need to consider the environmental value of restoration as separate and distinct from commercial shellfish value and second, to clarify that “elevated Houses” refer to the artificial reef structure, not human’s homes. 8/3/2009 New York TimesPrimary source is Virginia Institute of Marine Science at the College of William and Mary. Scientists and watermen agree that oysters will grow in current dead zones. Also mentions past federal involvement in Virginia oyster restoration that later became a contentious issue.